Every homeowner will experience it at some stage. You look around and realise you’ve fallen out of love with certain parts of your property. Perhaps a lack of storage or living space is playing on your mind. It could be that the wall scuffs, paint chips and broken bits of plaster have annoyed you once too many times. Or maybe the size of your home is fine, but the fact it’s sleepwalked into a state of tiredness has finally dawned on you. Whatever the reason, there’s no need to feel overwhelmed by jobs which need to be ticked off the ‘to do’ list. Most home improvement projects fall into one of 3 main categories - and now’s the perfect time to take action and draw up a list of priorities! Any problem which could potentially damage the fabric of your home should always be top of the ‘to do’ list. 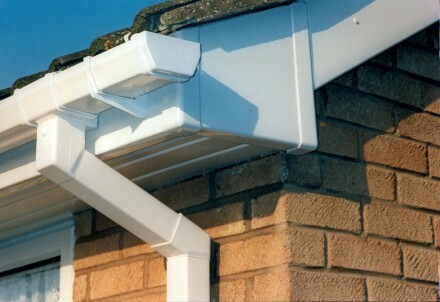 Maintenance jobs like painting, repairing the roof and clearing your gutters (pictured above) definitely fall into this category. After all, you don’t want a drip or leak to get out of hand and cause expensive long-term damage. But before tackling bigger tasks, spend a few pounds on servicing the boiler, install - or check - your smoke alarms and ensure emergency window exits are in good working order. Home improvement projects which will reduce the amount of energy or water you use fall into this category. Upgrading to a low-flush toilet cistern or getting a water meter fitted is relatively low cost, but could save you a lot of money in the long run. The same goes for insulating your loft. 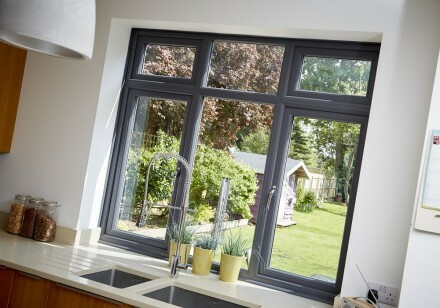 If your budget’s a little bit bigger, consider installing A-rated double glazing - a great way to reduce drafts and keep more heat inside your home. These can usually be defined as ones which are ‘wants’ and ‘needs’ and budget tends to play a big part in deciding which one to tackle first. It’s therefore important to consider which changes will have the highest impact for the lowest cost. By analysing your daily routine on a room-by-room basis, you can identify the inconveniences which could be improved to make life easier. Start by pinpointing functional ‘flaws’ in and around your home. Do you need somewhere to put your shoes? Where do you hang your keys when you walk in? Do you need more storage in your kitchen or bathroom? Take care of most annoying or quickest fixes first - filling holes in the wall, a dripping tap, faulty door handles, squeaky floors etc – before moving on to grander plans. Painting is one of the most cost-effective methods to make a major impact. Take a risk, be bold and experiment with colour – it’s a quick and achievable way to completely makeover a dull or unloved space. If you don’t like it, don’t worry about it – just paint over it! Should you have a budget which can stretch a bit further, why not create a stylish new entrance to help you fall in love with your home again? 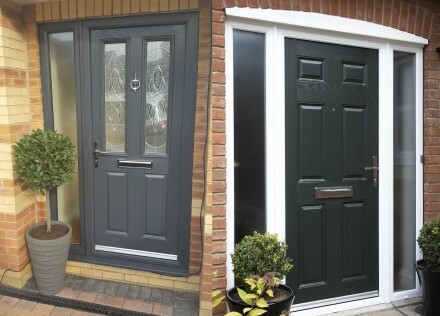 Fitting a new upvc or composite front door (pictured above) will instantly refresh your property, making it more distinctive and inviting for years to come. If space is at a premium and you’ve got deep enough pockets, adding an extra room could be the perfect solution to your problems. An orangery extension or conservatory will let you enjoy plenty of additional space – but without the hassle (or expense!) of moving house. No matter which home improvement you choose to prioritise, try not to get stressed about it. Be patient and remember that the reason for planning a home improvement project is to make your day-to-day life better. Stick to your budget, stay true to your style and focus on getting the quality just right. If you do, the transformation will prove rewarding and worth all the effort.